The Classic Double Gates are constructed using solid steel with a traditional wrought iron gate appearance. The classic and elegant design will grace your driveway for years to come whilst offering excellent value for money. 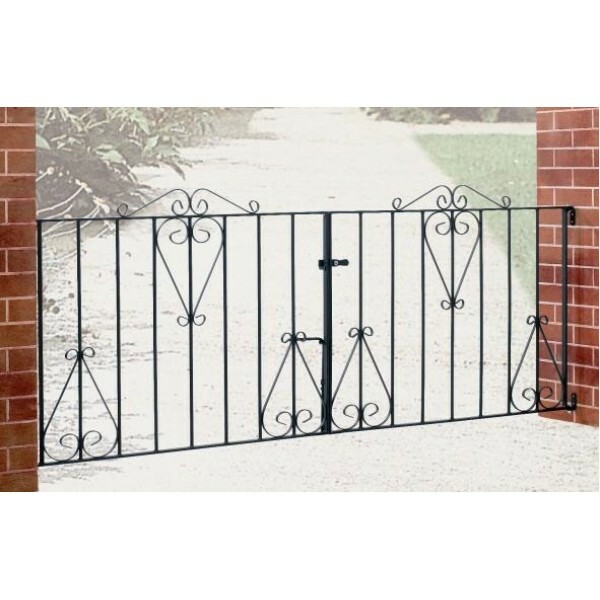 These gates can be supplied with either a primed or galvanised and powder coated finish. Fittings. 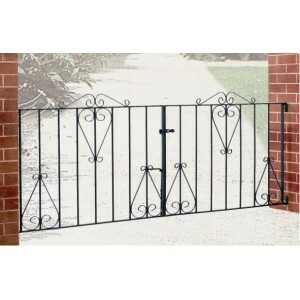 The Classic Double Gate is supplied with hinges, latch and drop bolt. Please note the hinges require a flat vertical surface for installation. Opening Directions. The Classic Double Gate can open in either direction. The latch will be supplied on the right hand gate when viewed from the road.